A day spent walking close to the edge of heaven. 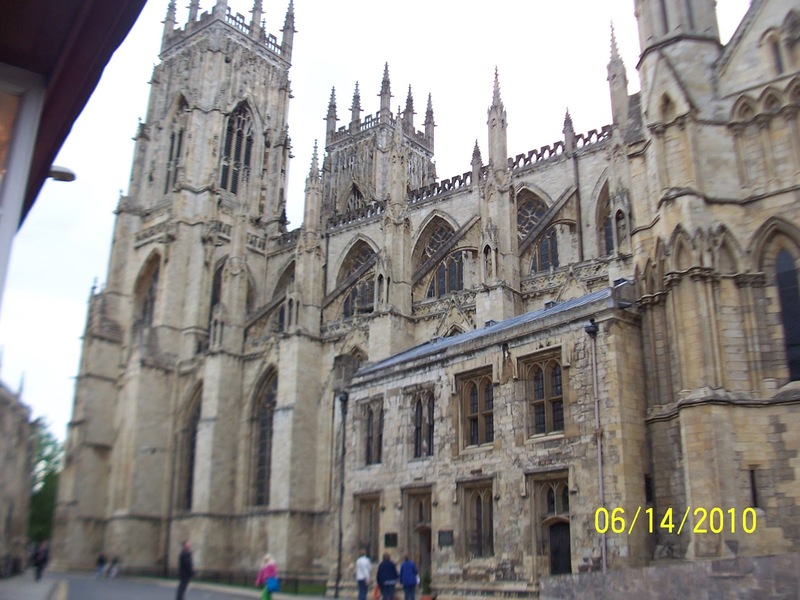 We decided to spend the day with the magnificent church structure, known as Yorkminister. Just to approach this building is.an intimidating event. Never have i seen so huge and so awesome a place of worship. First, Judee wanted to walk around the outside. A really good choice. Half way around we sat on bench and examined the Gothic design the statues of the saints and the gargoyles placed there to ward off evil. 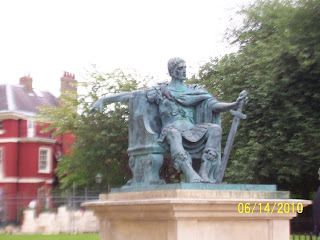 As we turned the southwest corner we came back to the statue of Constantine--the Roman Emperor who opened the door of toleration for Christianity. He was in York when his father died, and it was there he was proclaimed emperor. The city of York commissioned this statue a few years ago. Inside one is impressed by the size of the place. Over 2,000 can be seated for worship. There are twelve chapels, one of which was celebrating Holy Communion as our tour group passed. 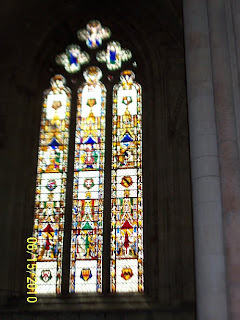 The nave was built in 1300 AD. Our tour guide spent nearly the entire hour giving the history of a thousand stained glass windows. Perhaps I am just too hickified for this sort of thing but I could have had a better experience just sitting in a corner and taking it all in. The Norman invasion brought with it the construction of a Norman cathedral about 80% the size of the current one. 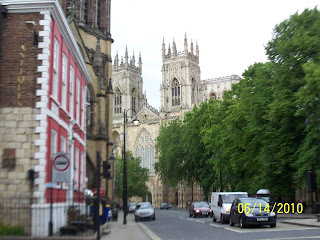 Well, I got home before finishing this day and Yorkminster. We did attend Evensong at the minstrel and I did purchase a small gargoyle. The next day we rode the train from York to London and spent the night in our last Bed and Breakfast. Early on Thursday we grabbed a Tube and got to Heathrow. Got through all the red tape, Had c. ten hour flight to Houston, then a 40 minute jog to San Antonio.